MALIBU, California, June 9, 2011 (ENS) – Large environmental problems like the ongoing Fukushima nuclear catastrophe and the effects of the BP Deepwater Horizon Oil Spill in the Gulf of Mexico still occupy center stage, but an even bigger solution to the planet’s environmental woes is rapidly approaching. Vehicle electrification can ease dependence on polluting petroleum that is heating up the planet, yet many people are not fully informed on how electric vehicles will fit into their lives. One information gap is public understanding of the important fit between electric vehicles and the smart grid. A game-changing research paper that addresses this gap, “Vehicle Electrification: Status and Issues,” has just been published by the Institute of Electrical and Electronics Engineers in the special Smart Grid issue of the Proceedings of the IEEE. It shows how to change the energy equation and serves as a reference source to understand electric vehicles from a whole systems perspective. This paper is timely and important since the case for electric vehicles needs to be more clearly understood from the point of view of public perception and long term evaluation. The research and statistics presented will gain value over time as people need to cite sources to accelerate the transition to a renewable energy global economy. EVs and the smart grid present solutions at a time when we are challenged to live in balance with our natural resources while supplying our energy needs. A key function of a smart grid is the intelligent management of distributed sources of power derived from renewables such as solar, wind, tidal and geothermal. It is important that renewable energy can be paired with energy storage for a more adaptable power grid; this is one of the key features of the smart grid. To adapt to the moving electrical loads that are EVs is one of the major design goals for the smart grid. EVs also potentially offer valuable energy storage capabilities for smart grids with vehicle to grid connections. The IEEE paper’s authors are members of World Team Now, a California and New York based non-profit organization that educates the public about renewable energy solutions. Most recently, World Team Now worked with the City of Malibu to secure a grant to get the city’s electric vehicle chargers working and upgraded. To make the transition to vehicle electrification, people need to understand how their transportation choices play into the big picture. Each individual has the opportunity to carve out his or her own role in this change by making educated choices about what to drive and how to hook up with the smart grid. The IEEE article includes a new original chart of all new grid-enabled vehicles to use as resource in making these choices. Karma, the vehicle, a electric sportscar with extended range from Fisker Automotive, made its production debut this past weekend at the Monaco Grand Prix. Back in 2005, World Team Now worked to build an alternative vehicle parade to premiere at Monaco’s Grand Prix. The Prince of Monaco, Albert the 2nd, was behind the wheel and founder Henrik Fisker rode shot gun – fulfilling a long anticipated dream of a high end electric sports car with the ability to also utilize gasoline, if necessary. Fisker’s Karma lives up to its name. Its good Karma resides in its solar roof, LED lights, and use of recycled and reclaimed components. It is intended as a transition vehicle while the full-on vehicle charging infrastructure is being built to support EVs. The Karma is one of the greenest cars on the market – cradle to grave – when it is charged every 100 miles via solar, or other renewable energy source. Marketing Director Roger Ormisher said, “We should have the car rolled out with dealers and customers in August at the latest.” Fisker also plans to have its own charging points, according to Ormisher. In Baden-Baden Germany, June 9 is the last day of the IEEE conference on Intelligent Vehicles. Vehicle intelligence, the ability of vehicles to talk to other vehicles, can enhance safety and ease traffic flow. Intelligent vehicles with driver assist features can act like remote sensors to following vehicles and even eventually drive the following vehicle in emergency situations. Despite these and other technical advances, a considerable obstacle to the widespread adoption of EVs is public perception. The IEEE Paper can help bridge this gap. In addition, the newly released film “Revenge of the Electric Car” has an appealing way of telling this important story to help engage the public. Auto executives understand that this gap in understanding is a challenge for EV adoption and each manufacturer has different approaches to meet it. GM believes that range anxiety is a key challenge. In an interview, Chevy Volt Line Director Tony Posawatz called the Chevy Volt a “connected electric vehicle” that features the OnStar communications, in-vehicle security, hands free calling, turn-by-turn navigation, and remote diagnostics system. Usually a subscription-based service, Chevy will roll out OnStar as a standard feature in Volts for a limited period. His confidence is based on what Posawatz calls a “special relationship” managed through the Electric Power Research Institute where General Motors has engaged a about 50 of EPRI’s utilities to work together on everything from EV standards to communication plans to interfaces to smart grid solutions. 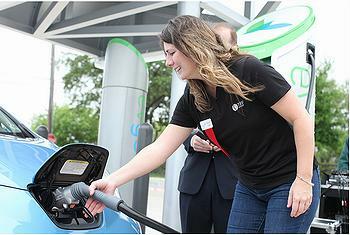 Nissan is also a supporter of the Level 3 DC fast chargers, unlike most other automakers. Their strategy is to deploy charging infrastructure across six states with multiple DC fast-charging stations. The Chinese battery and automaker BYD, which stands for Build Your Dreams, has less experience, but more to gain, and is pursuing EVs partly due to their simpler engineering. BYD spokesman Paul Lin said in an interview that the company also takes advantage of vertical integration but is not bound by legal and liability constraints that other manufacturers face. 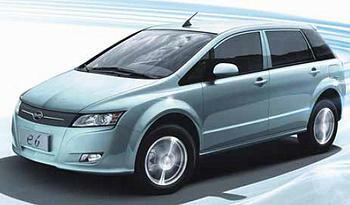 The lower requirements of the domestic Chinese market, and less danger of hurting their brand, allow BYD to be more aggressive than other automakers. The thousands of scientists from around the world who contribute to reports issued by the Intergovernmental Panel on Climate Change warn that climate change is real and the planet is warming quickly. 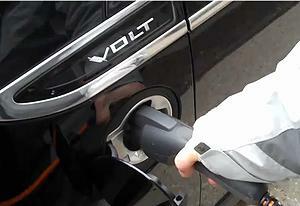 Using renewable sources of energy to charge electric vehicles can help to limit climate change. In May, the IPCCC’s “Special Report Renewable Energy Sources” demonstrated that renewable energy generation can provide for 80 percent of our total global energy consumption. This paper offers a resource for making personal choices for sustainable transportation that impact the overriding issue of our time – global climate change.